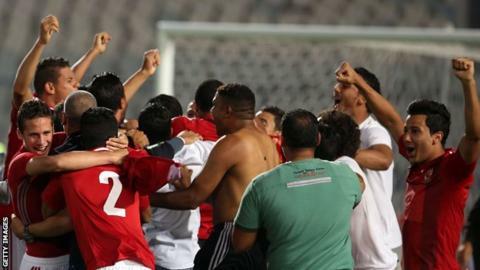 Al Ahly beat Zamalek on penalties to win the Egyptian Super Cup ahead of the start of a new Premier League season. Walid Soliman hit the post early on but the game ended goalless and went to spot-kicks after 90 minutes. League champions Ahly clinched victory over the Egyptian Cup holders when Royals skipper Ibrahim Salah struck the woodwork in sudden death. The league kicks off on Monday with fans again banned from attending matches, as they were last season. But while last season was played with the league split into two groups, followed by a mini-league phase, the new campaign will return to its original one-group format. Nearly all matches in Egypt have been played behind closed doors since the Port Said tragedy in 2012 that left more than 70 fans dead when fans rioted.